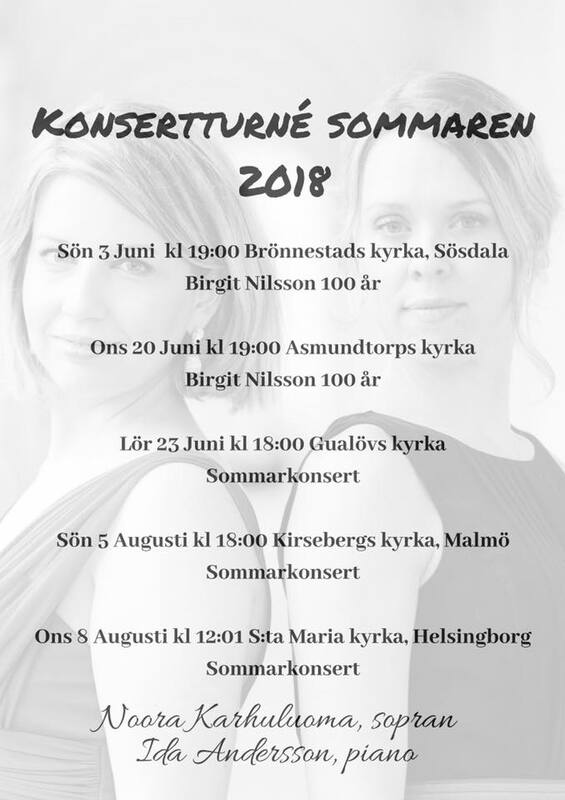 Summer has already arrived to my hometown Copenhagen and here is the full schedule of summer concerts with Duo Karhuluoma – Andersson, with soprano Noora Karhuluoma. During 24th – 30th of June we will also attend a masterclass together, with teachers Bo Skovhus and Helmut Deutsch. A whole week of inspiration – only focusing on german lieder.